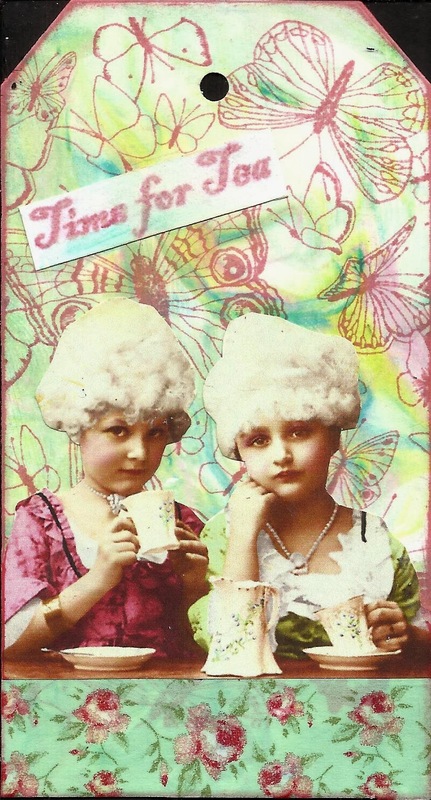 This week's theme on Lunagirl Moonbeams challenge is Vintage Tea Time. Truly adorable! I love this image, and the papers with roses and butterflies are perfect, great colors. Thanks for entering my Victorian Tea Party blog challenge!